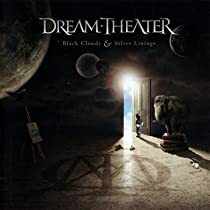 Dream Theater's Black Clouds And Silver Linings Dominates World Charts! The album debuted at #6 on Billboard’s U.S. Top 200 album chart, with first week sales totaling 40,285. Dream Theater has now sold in excess of 10,000,000 records and DVD's worldwide. Dream Theater is currently breaking records in Europe, playing to festival crowds of over 80,000 adoring fans. The band made their debut appearance in Israel last month, rocking a crowd 10,000 strong to their knees. The band’s own Progressive Nation tour returns stateside on July 24 in Miami, and will feature Dream Theater as headliner, ZAPPA PLAYS ZAPPA, BIGELF and SCALE THE SUMMIT. The tour - which marks the second incarnation of Progressive Nation - wraps on August 29th in Los Angeles. Purchase your copy of Black Clouds And Silver Linings now in the KNAC.COM More Store. Click here.